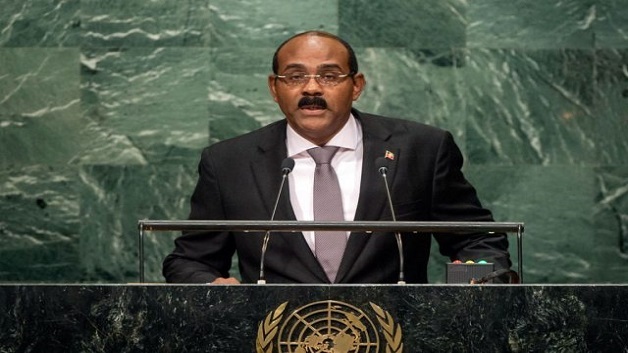 Antigua and Barbuda’s Prime Minister Gaston Browne has pledged his country’s support for the island of Dominica which was ravaged by Hurricane Maria during the early hours of yesterday. “The Government and people of Antigua and Barbuda stands in solidarity with the government and people of the Commonwealth of Dominica during this time of need. We express our deep sorrow at the loss of life and property resulting from the passage of Hurricane Maria over the island. We stand ready to lend support to our brothers and sisters in Dominica,” Prime Minister Browne said. Prime Minister Browne said that despite Antigua’s own challenge with the rebuilding of Barbuda, he believes that now more than ever, the region needs to stand side by side in coming to the assistance of those countries ravaged by recent hurricanes. The country’s leader has already communicated with the heads of the security forces and disaster relief officials to stand ready to send a contingent to Dominica to assist in the recovery efforts. Six deaths were reported in Dominica from the passage of Hurricane Maria.